• Federal Electoral District Battlefords—Lloydminster M.P. • Provincial Constituency Cut Knife- Turtleford M.L.A. 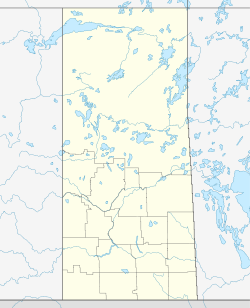 Unity is a town in the western part of the Canadian province of Saskatchewan  with a population of almost 2600. Unity is located at the intersection of Highway 14 and Highway 21, and the intersection of the CNR and CPR main rail lines. Unity is located 200 km west-northwest of Saskatoon, Saskatchewan, and 375 km southeast of Edmonton, Alberta. The town of Wilkie is located 18.96 miles (30.51 km) to the east. The town was the subject of playwright Kevin Kerr's Governor General's Award-winning play Unity (1918), which dramatizes the effect of the 1918 flu pandemic on Unity. Sink and Gordon Lakes are just to the west of Unity, providing wetlands for many migratory birds. Muddy Lake is just south of town. Boyd Gordon played in the NHL for the Washington Capitals, Arizona Coyotes, Edmonton Oilers, and Philadelphia Flyers. Two elementary schools, St. Peter's Catholic School and Unity Public School offers Kindergarten to Grade 6. Unity Composite High School (UCHS) includes grades 7 to 12. The two public schools are in the Living Sky School Division No. 202. The population of the elementary schools ranges at about 150 students each, while UCHS is between 250 and 300 students with a graduating class of about 30-45 students a year. The Unity railway station receives Via Rail service with The Canadian calling at Unity several times per week. Unity is on the Canadian National Railway tracks. In 1924, the Canadian Pacific Railway crossed the Canadian National Railway at Topaz just west of Unity. ^ "Encyclopedia of Saskatchewan (Unity, Saskatchewan)". Retrieved 2013-04-30. ^ "2011 Community Profiles". 2011 Canadian Census. Statistics Canada. July 5, 2013. Retrieved 2012-02-29. ^ "Town of Unity website". Retrieved 2013-04-30. ^ "Living Sky School Division No. 202". Retrieved 2013-04-30. Wikimedia Commons has media related to Unity, Saskatchewan. This page was last edited on 16 April 2019, at 19:51 (UTC).